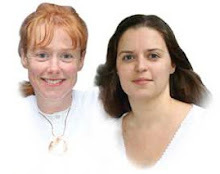 I Commander Ashter, on the 10th of February at 10am will be connecting with you through various light beings such as Caroline Sharp and Donna Swan, who will work as Earth channels to integrate and awaken within you an evolutionary activation code. This code will be transmitted to you and will awaken sleeping cells from within your being, your psyche and bring you fully into your physical/light presence. Receiving these codes will give you the power of creation and disillusion, this means you will realise the world and your life journey within it for what it truly is. What is illusion that has been holding you in a space of fear, pain and trauma you will now be able to discard, the power being removed from it, it will thus become powerless and your own self-light of inner truth powerful. You will feel more complete and begin the process of realising your freedom. This activation code will be channelled with the support and guidance of Ascended Master Sanat Kumara who, working with Commander Ashtar will help you to integrate these codes into the Earth. They will then walk with you for the following 21 days to help you to feel, to stop, take a breath and simply Be, and as you simply Be you will begin to realise you feel and are free. The first wave of energy will connect with you at 10am, you may feel this energetically or if you are busy you may not notice. There will be a second wave at approximately 2pm, again, if you are able to focus on this great but if it is not possible please do not worry. For the final wave of light activation we ask that you be ready to fully ground the new codes through your Being, therefore your effort is to simply be present energetically at 10pm on the 10th February 2010, be relaxed in a comfortable place to allow your body to completely ground the activation process, this will take approximately 30 minutes to fully activate the code within the cells of your whole body and complete your grounding to Earth. On the 10th February, we will email you with a picture representation of the activation code created by Shekinah Melchizedek, at some point between 10am and 10pm take some time to look, focus and assimilate the vibration of the picture representation, this will aide the awakening and grounding process. You will also receive a guided meditation that you can use in the 21 days following the transmission. For the following 3 days be extremely gentle with yourself as your body adjusts to the new information flowing through, be aware that Sanat Kumara and Commander Ashtar are walking with you, talk to them, ask for help and give yourself time to focus on issues that are uncomfortable for you and feel how they begin to shift and wash away.